At Deception Valley Lodge you can experience the vastness of the Kalahari while enjoying some of the most prolific bird life or do some star gazing at night. When outsiders think of the Kalahari, the image they generally have is the red sands of the Kgalagadi Transfrontier Park. But locals know it as a vast flatland of spectacular thunder-storms, old-fashioned villages, and friendly folk and when the rain comes, blizzards of butterflies. What makes Deception Valley Lodge unique is the rare opportunity to meet and explore this remarkable environment with bushman Guides of the San peoples, one of the oldest cultures in Africa. Experience a tour with real Bushmen. 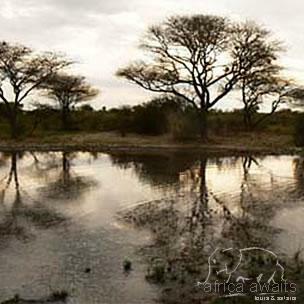 Exploring the bush on foot, while your guide will teach you of the hunting and survival skills, the culture and crafts of the San people, who over the centuries have adapted their lives to survive in the most inhospitable environment of them all. Comfort set in vibrant and rustic coloured interiors, Deception Valley Lodge accommodates up to sixteen people on a sharing basis. 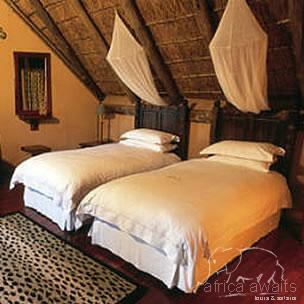 The lodge is private and restful. Attention has been given to every detail ensuring you a completely different experience, in an arid Kalahari bush land stretching for miles. Each unit stands separately, on stilts connected with the main lodge by wooden walkways. 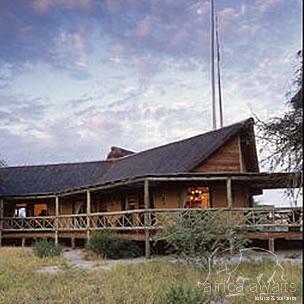 With your holiday, safari or business trip from in to Deception Valley Lodge in Botswana.